We all know that the Chinese people have great remedies and secrets which help our health in many ways. The Chinese and Japanese are known for their long lives and extremely healthy lifestyle. In this article, we are going to educate readers about the Benefits of Rice Water. When you boil your rice, you often throw away the water once it has been completely cooked. However, this water holds so many important and vital health benefits that it has been used in China for many years for cosmetic and health benefits. 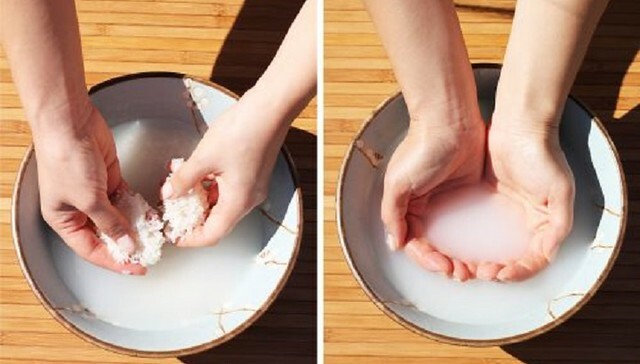 The benefits of the rice water include healthier skin, more energy, and shiny hair, and these aren’t even all the benefits of this great remedy. This old Chinese recipe is becoming world famous especially in the west, where people are using this more often to aid their beauty and health. This recipe requires only 2 ingredients which are rice and water. Increased energy throughout the day. It successfully stops and prevents the buildup of gastroenteritis. It is an excellent tool in the prevention of cancer in our body. It regulates our body temperature. It cures and prevents us from having constipation. Softer skin, when face or body is washed with this rice water. It is an excellent replacement for tonic. The rice water assists in the closed pores on your face and helps rid them of dirt and impurities. If you wash your hair with this rice water, you will get healthier and shinier hair in no time. I know most of you are shocked at the amount of this world-class remedy you have flushed down the drain. However, it is not too late to start now and you should be extremely inclined towards adding this to your daily routine, given such a high number of benefits health wise and cosmetic wise. Let us know if anyone uses it or has tried it and share your experiences.